Providence Health & Services, one of the Northwest’s largest private-sector employers, is preparing an aggressive cost-cutting campaign that will include layoffs, The Oregonian reported. The move is clearest sign to date that hospitals face a difficult, uncertain future. It’s unclear how the cuts will play out in the Spokane area or in Eastern Washington. Providence Health cut 16 positions in Spokane and Stevens counties late last year, but overall employment has grown, said Elizabeth DeRuyter, a Providence spokeswoman. Providence employed 8,893 workers in the two counties at the end of December, and 8,949 at the end of June. The hospitals and clinics, which include Holy Family Hospital and Sacred Heart Medical Center and Children’s Hospital, are constantly adjusting their workforces to cut costs, gain efficienies and grow when appropriate, DeRuyter said. The new financial weakness comes at a time of high anxiety in health care. In Washington, D.C., Senate Republicans continue their efforts to repeal the Affordable Care Act, a move that Providence’s Underriner and many other hospital executives oppose. The hospitals contend that one of their chief problems is Medicaid, the massive federal health care program for the poor. Reimbursement rates are low and Medicaid patients tend to be in need of more intense care, a combination that has been hard on some hospitals’ bottom lines. Providence’s 50 hospitals handled more than 1 million Medicaid patient visits in 2016. The Renton, Washington-based company was forced to subsidize the unfunded portion of Medicaid at a cost exceeding $1 billion, said Providence spokeswoman Colleen Wadden. The current year is bringing more of the same, she said. This is all a dramatic contrast to 2014 and 2015, when many large hospitals enjoyed windfall profits, in large part because Medicaid eligibility was loosened and millions of Americans joined the program. Washington alone added about 600,000 to the Medicaid rolls, and many flocked to hospitals for long-delayed treatment. As the ranks of the uninsured plummeted, many large hospitals saw their charity care plunge and their bottom lines surge. As much as hospital executives criticize Medicaid, the possible repeal of Obamacare and the radical downsizing of Medicaid envisioned by congressional Republicans pose a whole different set of problems. In its analysis of an earlier version of the Obamacare repeal put forth by House Republicans, the American Hospital Association estimated that Providence’s Eastern Washington operations would suffer a $1.1 billion cut in revenue over the next 10 years if the Medicaid expansion is rolled back. 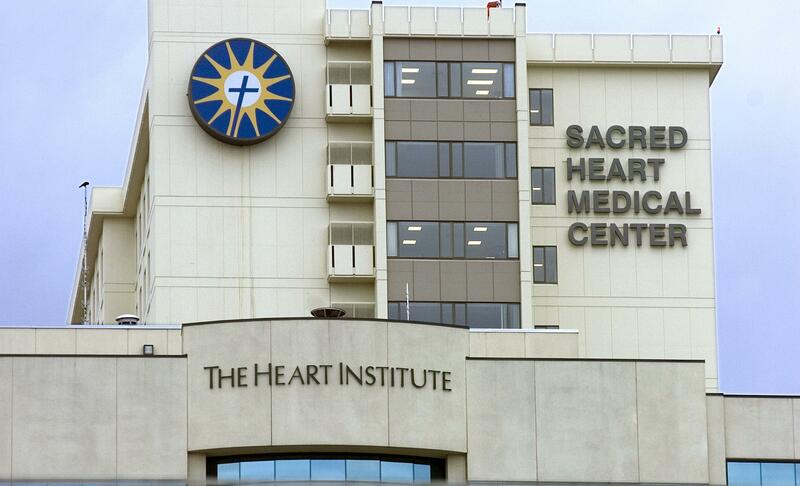 Most of the losses - $813 million - would occur at Sacred Heart Medical Center and Children’s Hospital. For Providence as a whole, “the loss would be more than $9.5 billion, risking our health system’s ability to adequately meet the needs of our communities,” Wadden said. Providence’s problems are not solely due to Medicaid. It has expanded aggressively in recent years and launched initiatives far afield from the meat-and-potatoes of health care. Providence bought hospitals and clinics in Seattle, the Tri-Cities area and Southern California. The expansion campaign culminated last summer in Providence’s merger with Saint Joseph Health, a 16-hospital system based in Irvine, California. As its revenue topped $20 billion-a-year, Providence hired away a former Amazon executive to head its own $150 million venture capital fund. It formed an in-house digital innovation group to focus on software and other technology that could serve patients and clinicians. It launched its own business incubator for consumer-focused health startups. In just two years, Providence added 15,000 new employees and now has 111,000 on its payroll. Staff writer Becky Kramer contributed to this report. Published: July 10, 2017, 11:22 a.m. Updated: July 10, 2017, 6:01 p.m.